Fun Time’s Very Own Named Preschool Teacher of the Year! Congratulations to Fun Time’s Jenny Theodore! 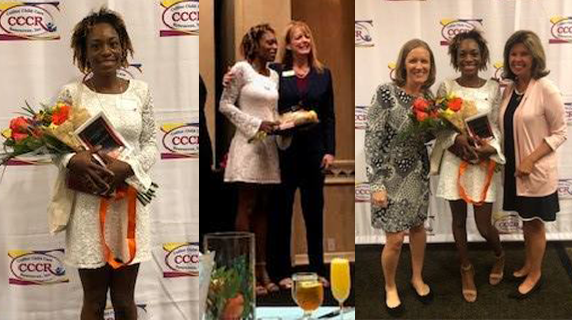 She was awarded “Preschool Teacher of the Year,” on Saturday, April 13th, at this year’s Apple Blossom Awards presented by Collier Child Care Resources (CCCR). Nominees were evaluated on eleven criteria including values such as “sees strengths in each child” and “manages children based on cooperation, reason and mutual respect.” Other requirements included being an early childhood teacher for at least 2 years, possessing a FL State credential and a letter of recommendation from a director. We are extremely proud of her!